Stamp your Athenian identity on the world by joining the latest campaign for Athens. There’s electricity in the air, a buzz on the street, a resonance in the ancient stone. All at once alive with the possibilities of tomorrow and bathed in the majestic glow of yesteryear. Dazzling, vigorous, versatile… and trending! The first to really get their heads around democracy, whose buildings have stood the test of time, whose language laid the foundations of modern civilization. 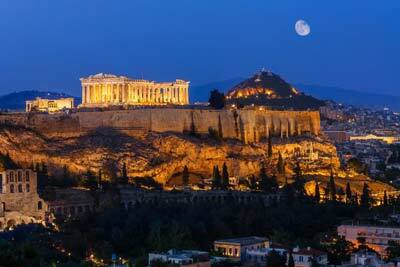 Who wouldn’t want to be one of them, a part of this great metropolis, to BE AN ATHENIAN? Sometimes, some things defy description. There are simply not enough words! For centuries, ideas and the words to go with them have cascaded from Athens like water from a great fountain of invention. Big, bold, brilliant, mind-bending, heart-warming words that depict the lives, loves, culture and day to day experiences of these wonderful, resilient people. Ever eager to adapt to new thinking, Athens has undergone many an evolution in custom and language, forever proclaiming its fierce independence and lusty spirit. Today, a beautiful confluence of ancient and modern, vibrancy and splendor, tradition and cosmopolitanism, will leave you breathless, at a loss for words. For this reason, an exciting, sparkling new vocabulary has arrived on the scene; one to grab your attention and fire your imagination. It reflects the creative new energies on the move in this contemporary European capital. But it also tips its hat to the city’s richly layered history as a source of inspiration. It makes sense of wanting to BE AN ATHENIAN. To take up your new citizenship, you must SPEAK ATHENIAN; embrace, use and play with the new language. All it takes is a dash of cheeky wit, a sprinkling of ingenuity and a mobile phone. There’s a huge volume of fun to be had in this groovy new craze matching your own photos to the words that tap into all those sensational 100% Athenian moods. So go ahead and be part of the new way of looking at things, adopt the new vernacular and earn yourself the right to BE AN ATHENIAN. 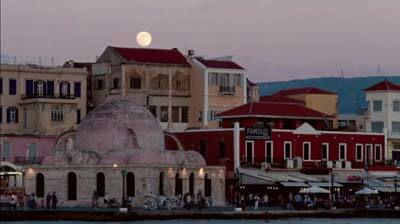 Clearly, if you’re cool and into history, you’re part of Athens’ Hipstoricαl vibe. If you’re chilling, feet up with friends, pondering life’s complexities, then this could be a case of Philosofα. Are you geared up with your Monastirαkit for the ultimate exploration in the famous flea market? Has Athens brought you to a creative climax with an Artgαsm? Or are you in Ecstαsea on the beach? BUT DON’T JUST TAKE OUR WORD FOR IT, it’s high time for you to SPEAK ATHENIAN and BE AN ATHENIAN!